Our range of products include cooling towers. 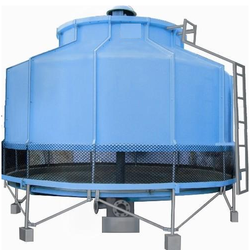 We are engaged in manufacturing and supplying a matchless range of Cooling Tower. These towers are manufactured as per the set industry norms and guidelines, using high-grade raw material to ensure quality. Offered towers are available in various sizes, capacities and other specifications to meet the customers’ needs.